The European Bank for Reconstruction and Development (EBRD) is providing a financing package of up to USD 102 million to the renewable energy arm of the Turkish conglomerate Akfen Holding. The funds will be invested in building four new wind farms and nine solar photovoltaic (PV) plants with a combined capacity of 327 MW, the EBRD has said in a news release. Akfen Renewable Energy, or Akfen Yenilenebilir Enerji as it is known in Turkey, owns and operates wind, solar, and hydropower plants. The EBRD and the International Finance Corporation (IFC), a member of the World Bank Group, are minority shareholders in the company with a 15.98% stake each. The company is investing in four new wind farms with a total capacity of 242 MW: Ucpinar (99 MW), Kocalar (26 MW), and Hasanoba (51 MW) in Canakkale, a province in north-western Turkey on the Dardanelles Strait, and Denizli (66 MW) in the eponymous province in the south-west of the country. The wind farms, once operational, are expected to save around 340,000 tonnes of greenhouse gas emissions per year. For nine new solar photovoltaic plants in five locations across Turkey, the EBRD is lending up to USD 52 million. The combined capacity of the new solar PV plants will be 85 MW. “With the projects that we will realise, we are taking firm steps towards our aim to reach a total installed capacity of 1,000 MW in clean energy generation by 2020. We will continue to make new investments and potential acquisitions, especially in the wind power sector, in the forthcoming period,” said Kayril Karabeyoglu, CEO of Akfen Renewable Energy. Supporting this project is part of the EBRD’s larger efforts to help Turkey increase its share of renewables in the energy mix. 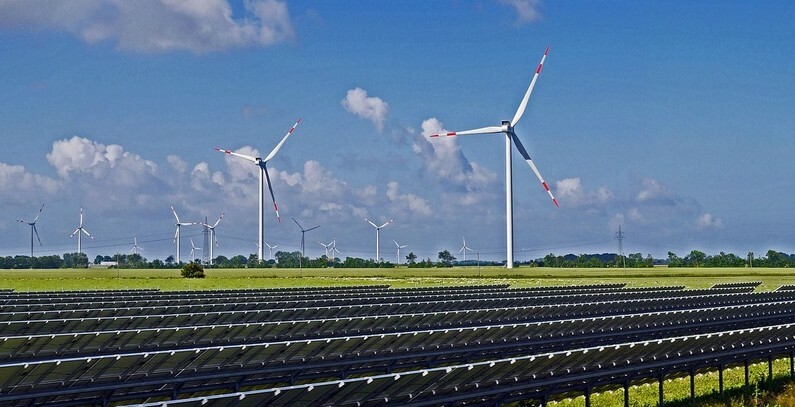 In line with its renewable energy action plan developed by the country’s Ministry of Energy and Natural Resources with the support of the EBRD, Turkey aims to install 27 GW of non-hydro renewable generation capacity by 2023, 20 GW of which is expected to be wind and 5 GW licensed solar, according to the news release. The EBRD is a major investor in Turkey. Since 2009 it has invested nearly EUR 11 billion in various sectors of the Turkish economy, with almost all investment in the private sector. Half of the Bank’s portfolio in Turkey constitutes investments that promote sustainable energy and resource use, according to the news release.